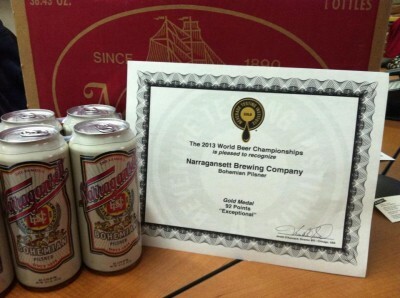 ‘Gansett kicked off the summer with their release of the award winning Summer Ale. To promote the beer, ‘Gansett created The Taste of Summer video to highlight all the best in New England summer fun. Bonfires, BBQs, beaches and TallBoy skating are all great summer activities that call for a ‘Gansett Summer Ale. 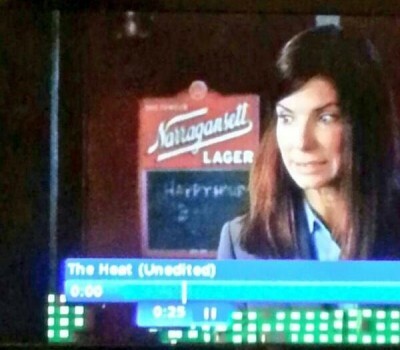 The latest comedy hit starring Sandra Bullock and Melissa McCarthy featured a surprise cameo from Narragansett Beer. Set and filmed on location in Boston, this cop duo hit the local bar where ‘Gansett is prominently featured. The movie itself is hilarious and a must see. ‘Nuff said! ‘Gansett made the trek to the Manchester, TN farm where thousands flock to each year for 4 days of music, art, peace and of course beer. 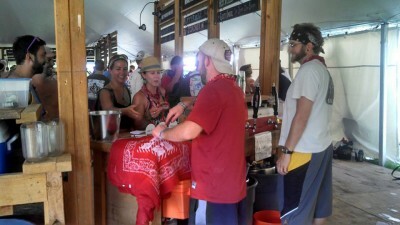 ‘Gansett was one of 25 beers in the Broo’ers Festival tent this year where Sir Paul McCartney was among the headliners. 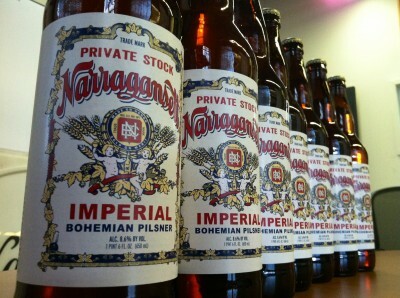 The third installment in ‘Gansett’s Private Stock series was released mid-summer. 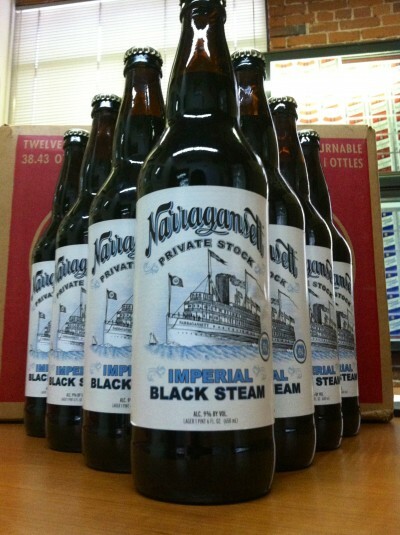 The Imperial Black Steam is a dark Califronia-common style brewed under the supervision of award-winning Brew Master Sean Larkin as a continuing celebration of ‘Gansett’s 123 years of heritage. It was brewed with choice malts, Northern Brewers hops, a San Francisco lager yeast and fermented at 68 degrees to enhance the natural esters of fermentation. This unfiltered American heritage-style beer delivers complex chocolaty, raisin and plum flavors and is balanced off with subtle hints of black current and spice from the hops. Weighing in at 9% Alcohol by Volume & 30 IBU’s, this brew was made locally at Buzzard’s Bay Brewing in Westport, MA. Some stores might even still have the 22oz bottles. As part of the Private Stock series, the Imperial Bohemian Pilsner is all but gone by now. Maybe it’ll make a return, but for now please enjoy it’s lighter cousin. 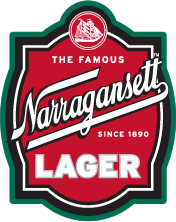 Being the first unfiltered offering from Narragansett, this was definitely a big moment this year. It was released in the winter earlier this year and was a hit among fans. ‘Gansett released their newest year-round craft beer, Bohemian Pils in September. The beer was a big hit and 2 months later it won a gold medal at the World Beer Championship. A must try next time you see this brew. ‘Gansett has been sold at Fenway for the past couple seasons now, but this was the first year the beer was more prominent in the concessions and on draft. 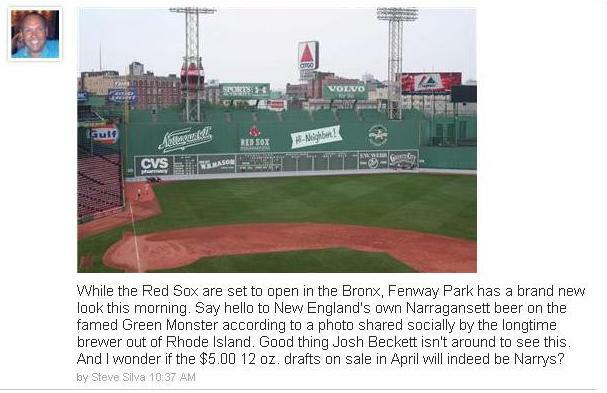 So since the Sox opened at Yankee Stadium on April 1st, ‘Gansett had a nice April Fool’s joke. No, there is no “Hi Neighbor” sign on the Green Monster, but this photo did catch the attention of local sports writers in Boston. Maybe this was an omen since the Sox went on to win the World Series. ‘Gansett tall boys had a nice cameo in this summer’s blockbuster comedy hit, “This Is The End.” The apocalyptic comedy from Seth Rogen and Evan Goldberg opens with a party scene at James Franco’s house where several celebs are enjoying the Famous Narragansett Beer. Emma Watson, a.k.a. Hermione Granger, ends up stealing all their drinks anyway. If you haven’t yet, check it out on Netflix and Bluray. It was a match made in Rhody Heaven! Two iconic Rhode Island beverages coming together for the first time in 123 years. 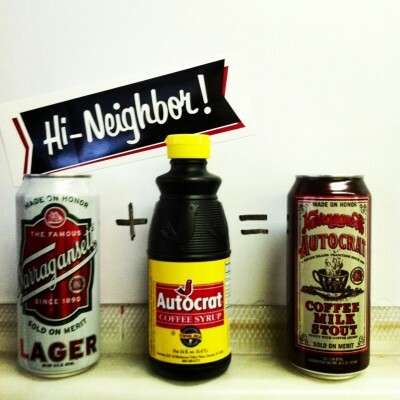 Autocrat helped spawn the state drink of coffee milk and ‘Gansett’s like the unofficial state beer. Coffee flavored stouts and porters are terrific craft brews and so is a milk stout. 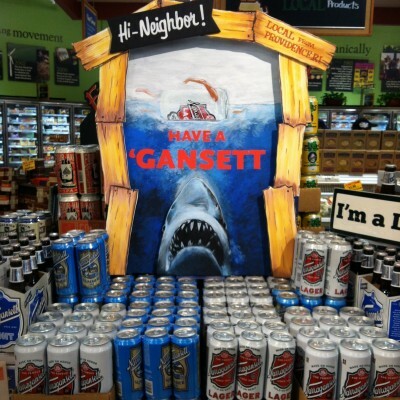 So ‘Gansett decided to combine the two for one tall boy of epic proportions. And where else would they get the coffee than from none other than Autocrat. This coffee milk stout combines a craft brewed milk stout flavored with the delicious all-natural Autocrat coffee. No, there’s no actual milk or even a cup of coffee in it. Milk Stouts traditionally do contain lactose sugar though to help sweeten the body a bit, then this stout is flavored with the all-natural Autocrat. This beer was released in mid-December and some stores were sold out by Christmas. All major stores in Mass, CT and RI are selling this provided they aren’t sold out. And several bars still have it on tap. But it’ll probably be gone by mid-January which means ‘Gansett will need to come back in 2014 with an even bigger mash-up brew.